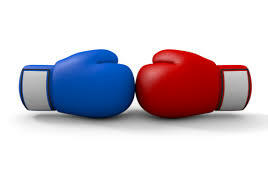 It was requested by one of the lovely bloggers who happens to follow my blog to have these 2 products duke it out! So let’s do this!!! In this corner we have Make-up Forever Uplights and in this corner we have Revlon Photo Ready Uplights! Both products are in Bronze. 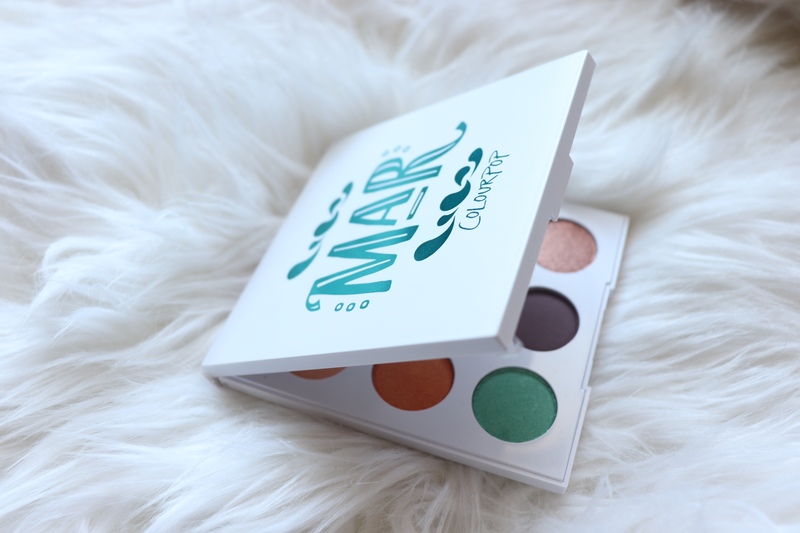 I always gravitate towards bronze because in my opinion they are always brown girl friendly. As you can see MUF has a pump and everyone loves a pump. Revlon has a squeeze bottle. Both for lack of proper words applicators make dispensing products easy and allows a good amount of control. Both packages are plastic just 2 different forms. MUF has a better look in my opinion but that’s part of what you pay for. Now on to the colors. 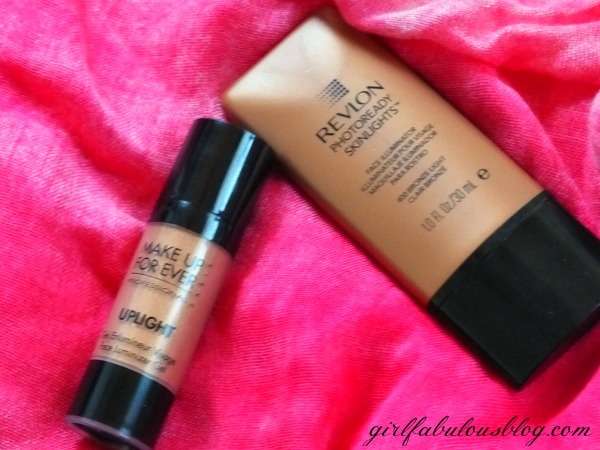 MUF is described as a gel while Revlon has the thickness of a bb cream if that makes since. Both are very light weight also. As you can see Revlon is alot thinner in consistency because the drop is dripping a little more the the MUF that is staying in place and did not move at all. 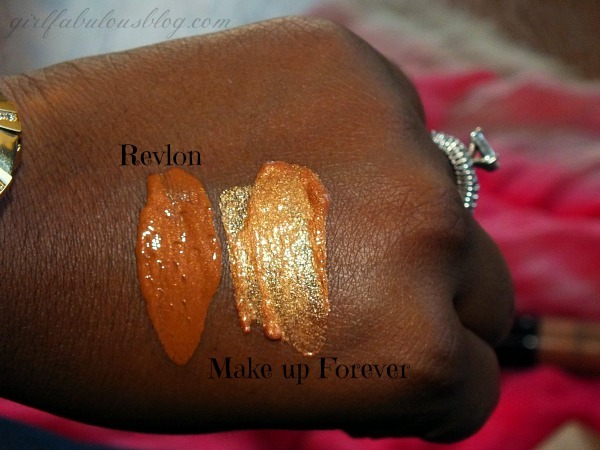 Revlon is deeper in color and looks to have a little glitter or perhaps a little sheen and the MUF appears to be packed with glitter. These are pretty heavy swatches but for pictures sake I thought that was necessary. Finally we get to see them blended. 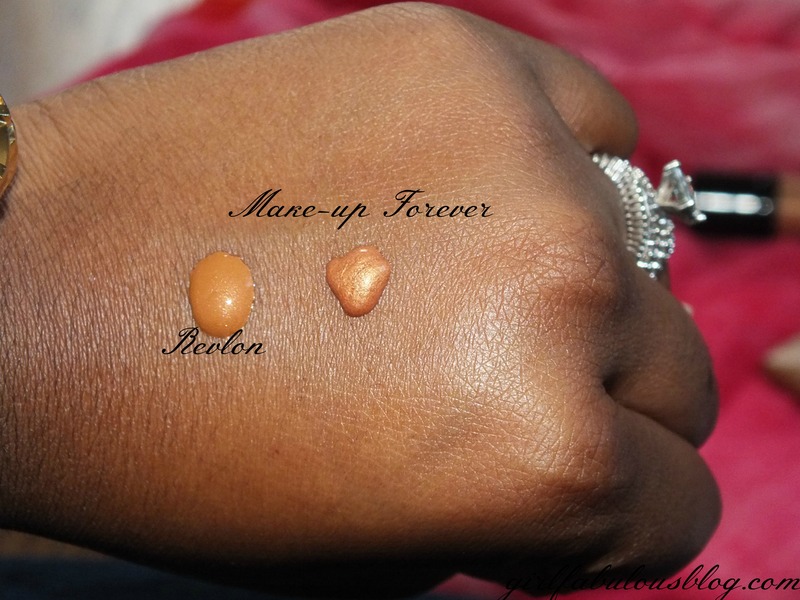 As you can see Revlon gave a very natural sheen. It would give the perfect glow from with in. 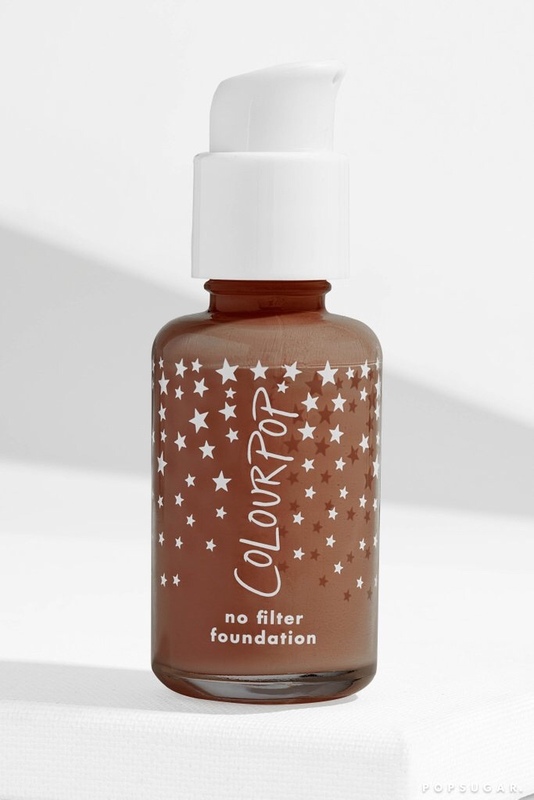 This is perfect to mix in your foundation or bb cream to give you a luminous and healthy glow. I love it. The MUF one gives off a nice sheen and it is perfect for a BAM in your face highlight. It’s gorge honestly. Pretty bold and I’m sure when the sun hits this HUNNI can you say SNATCHED!?! Do you Splurge or fight the Urge? For me I would fight the urge! 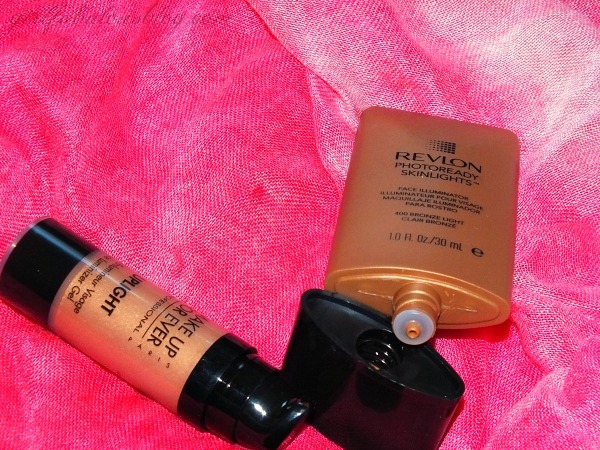 While I love the MUF illuminator I’m honestly more of a natural make up girl. I prefer a glow instead of a highlight if that makes sense. I’m big on saving a buck but sometimes I believe in a treat but this isn’t one that’s worth it. I do love them both and I’m happy to have them both in my collection but I gravitate more to the Revlon because of it’s natural subtlety. I hope this helped and you enjoyed this! Thanks Miss Kellee for the request!! 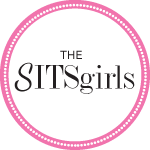 Until next time loves…BE FABULOUS!! Do more of these. I love the title too. How did they wear over time? I splurge. I know you love higher end. I have a love for both sad for my pockets lol. The MUF last a full day but to me it kinda sat on top of the skin. 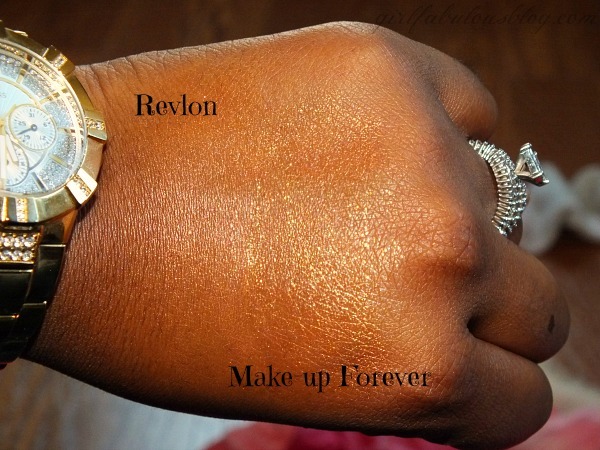 The Revlon wore well for me also but it looked natural and kinda melted in.